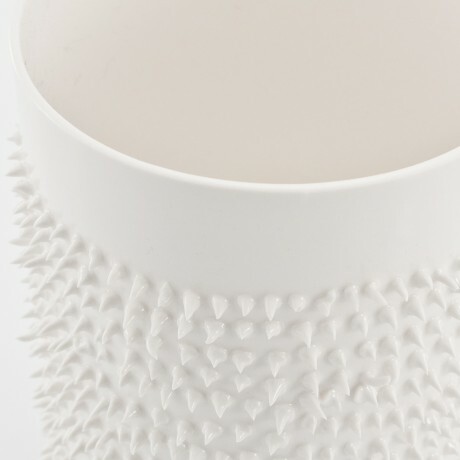 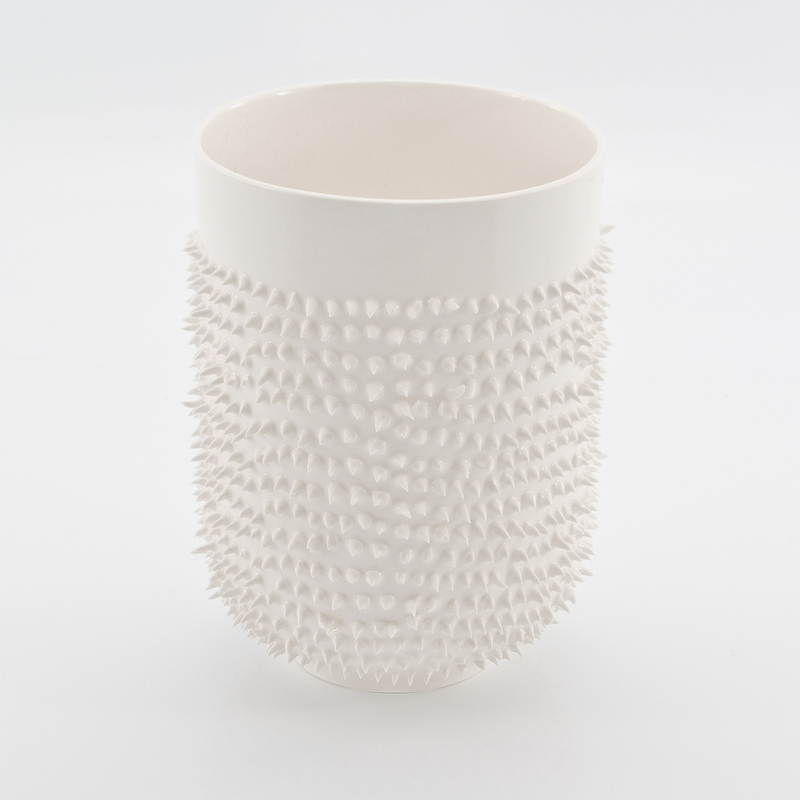 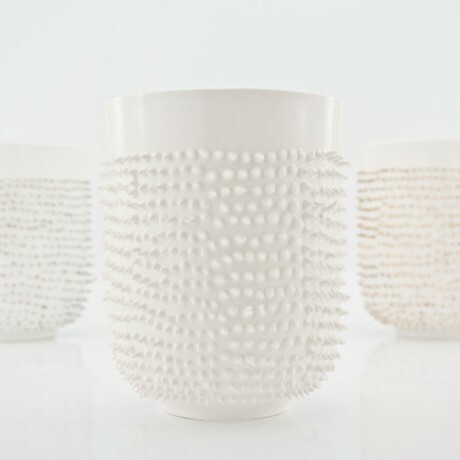 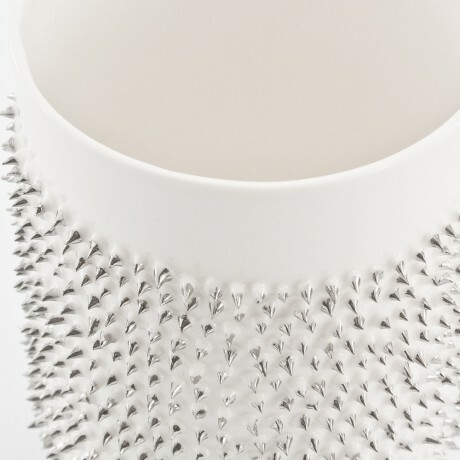 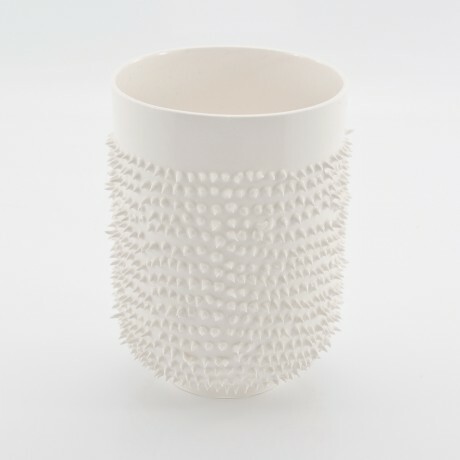 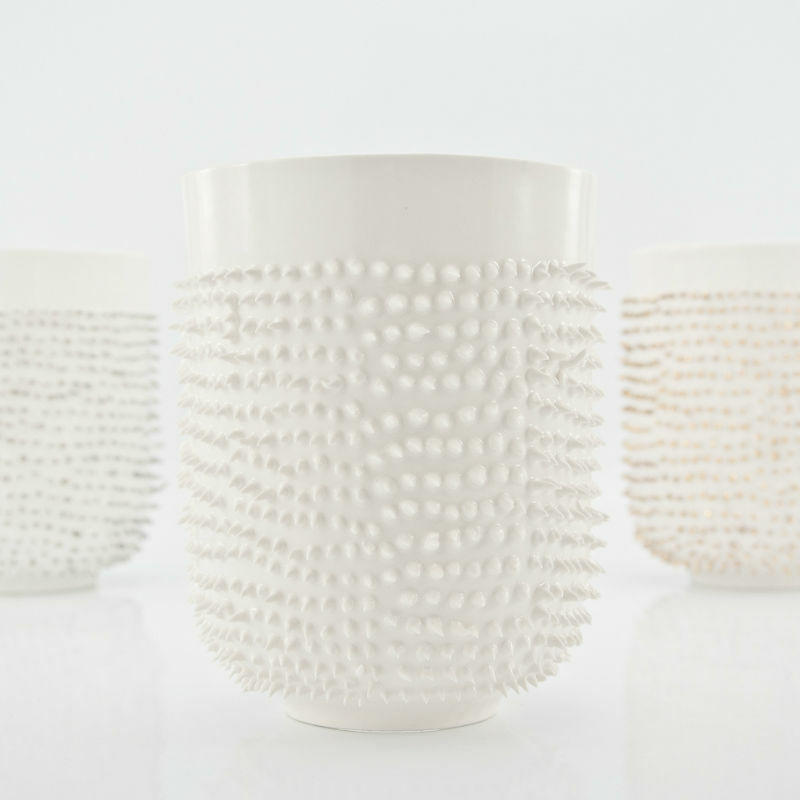 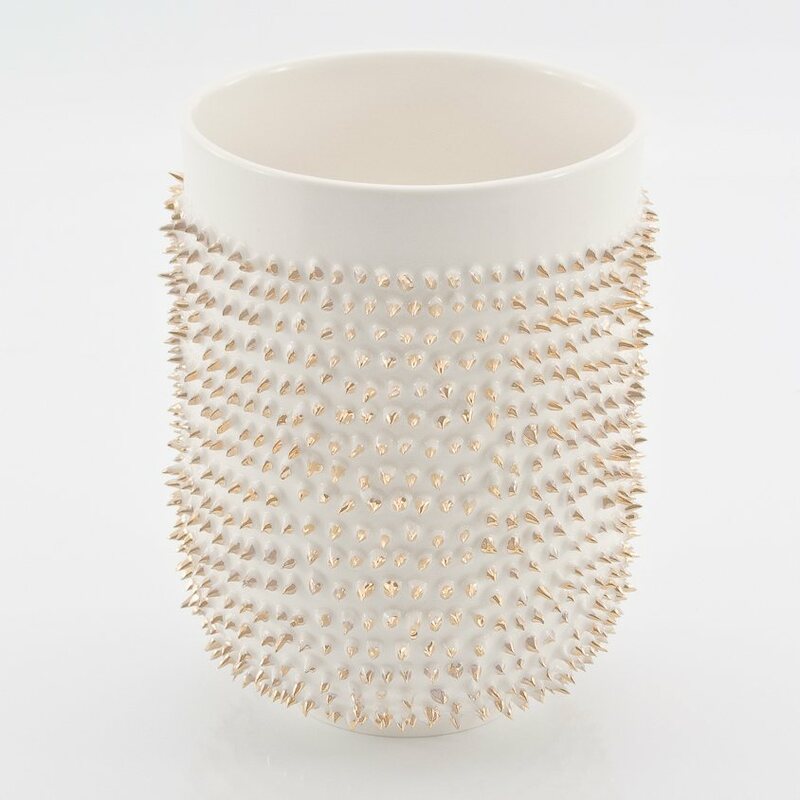 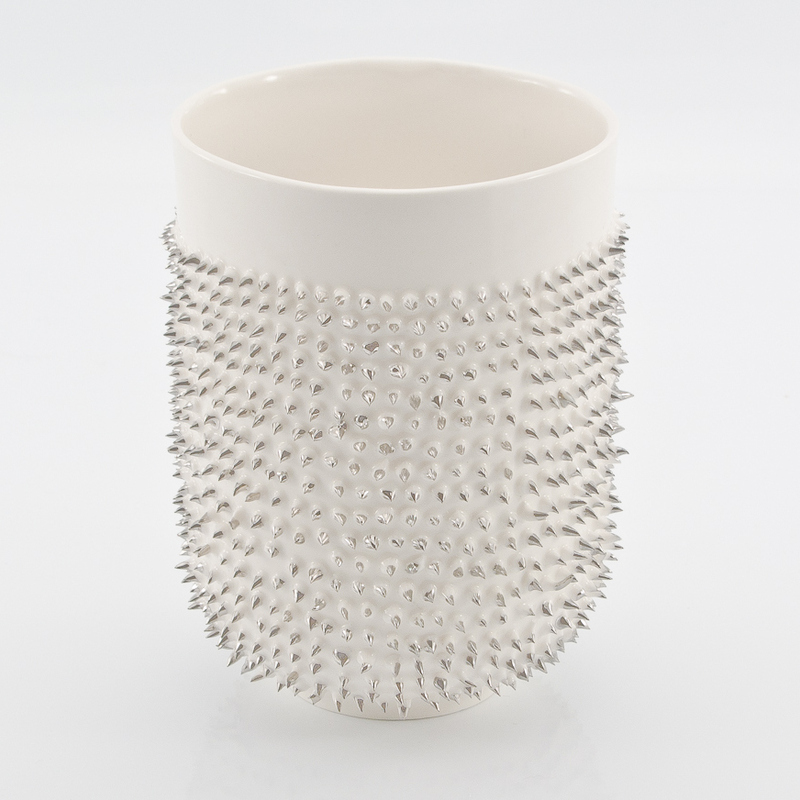 This fascinating spiked handmade porcelain mug is a unique way to enjoy your favourite beverage. 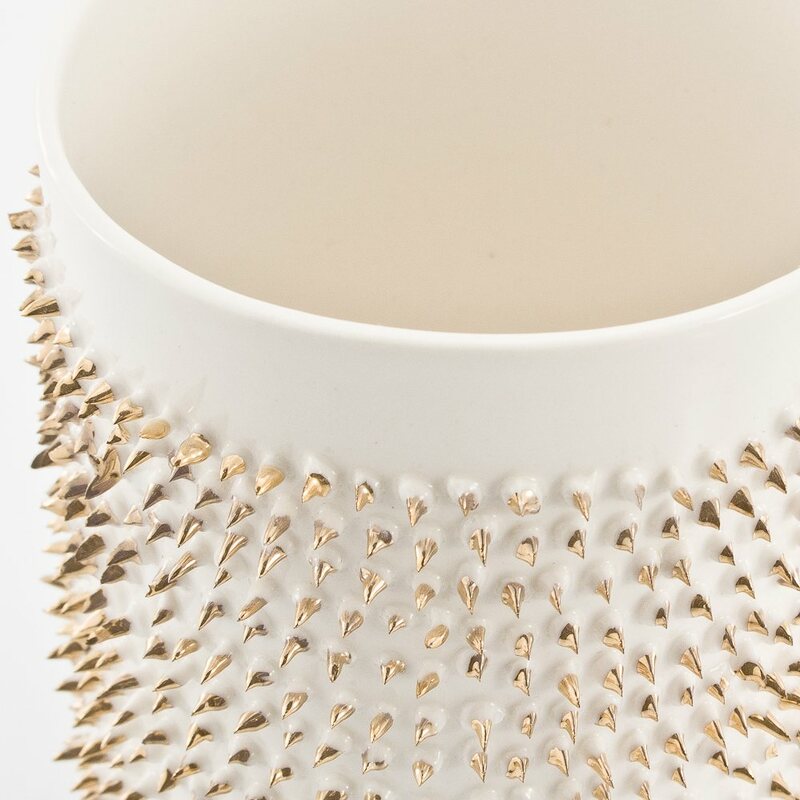 Don't worry, the spikes on the exterior look more sinister than they actually are! 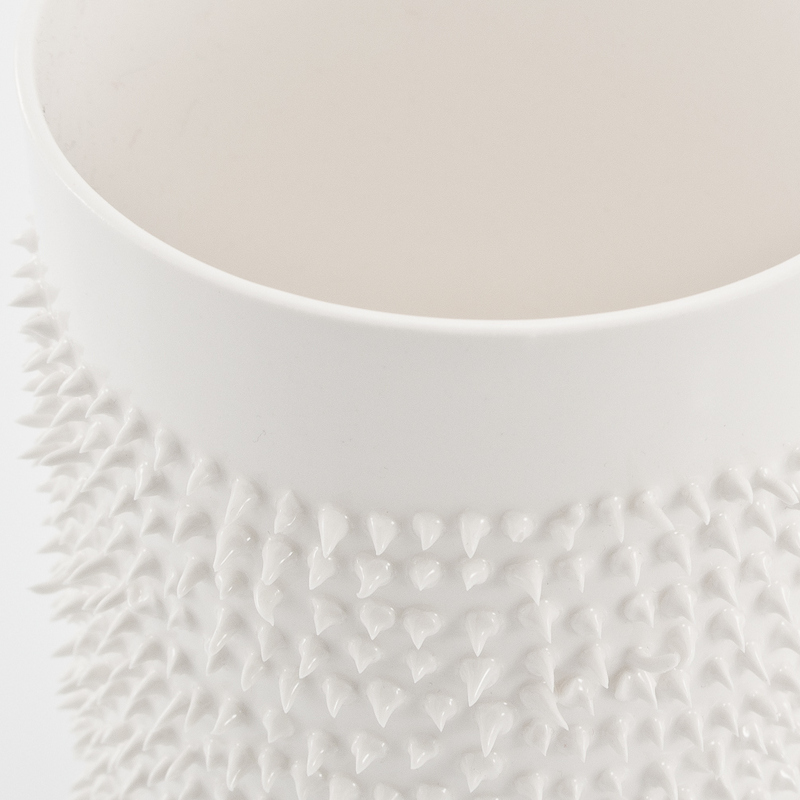 This cup fits snugly in your hand and provides pain-free enjoyment with each sip. 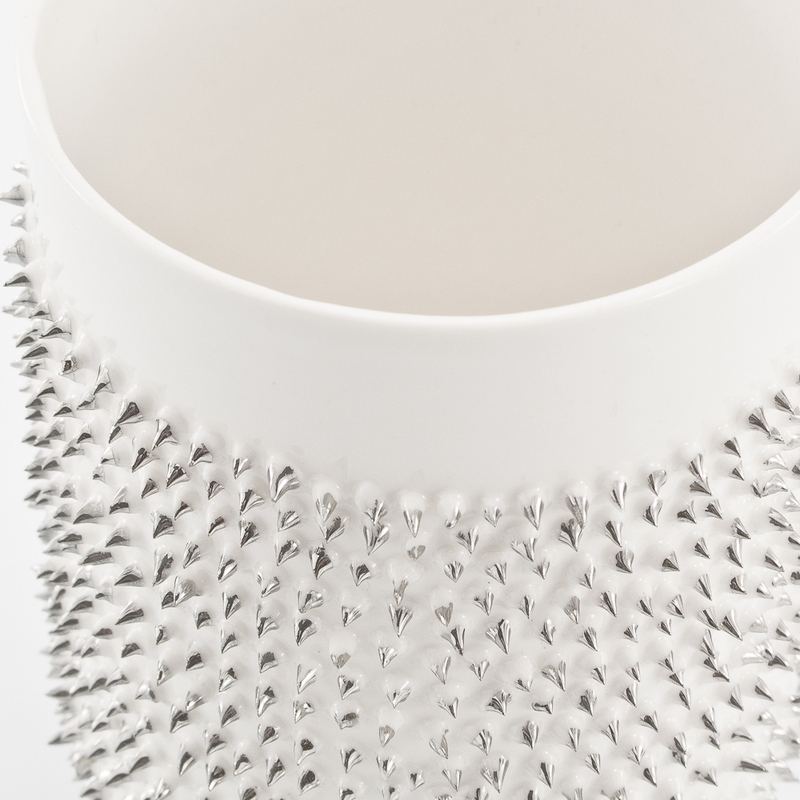 Best of all, it works double time as a hand massager. Simply roll it back and forth between sips to massage your hands and get that blood circulation moving. 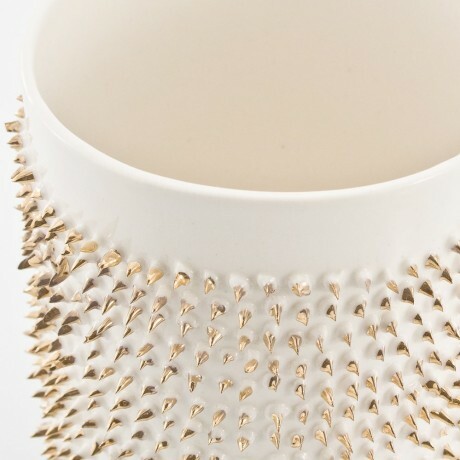 Added bonus is that the spikes, all individually applied by hand, protect your hands from the heat of the beverage inside. 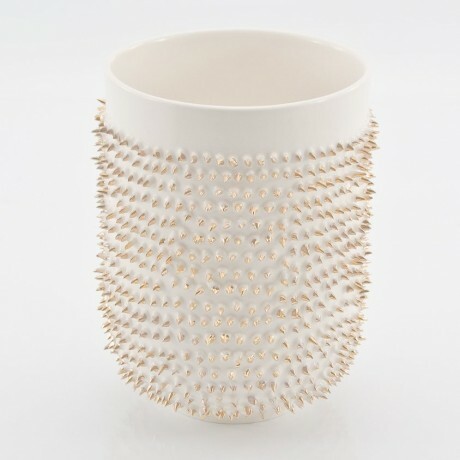 Use this unique mug to entertain your guests at your next get-together or gift it to a loved one. 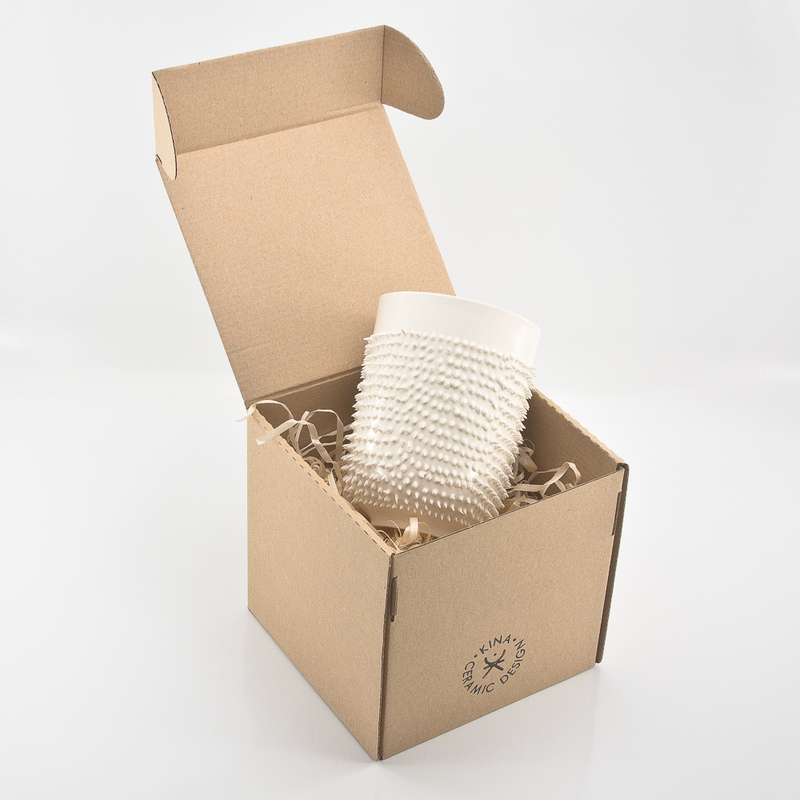 An imaginative gift that is a must for mug collectors. 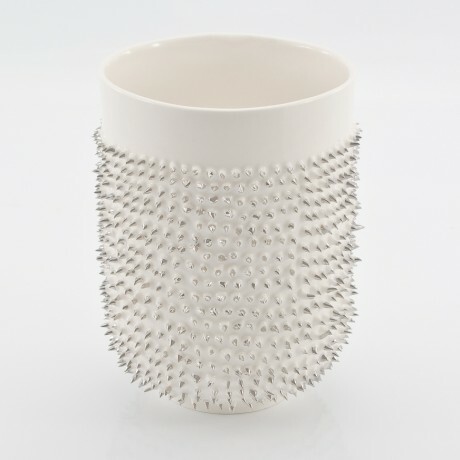 Custom handcrafted from porcelain, this mug holds a generous 450ml (15fl oz) of your favorite hot drink, the diameter is 8cm and the height is 12cm.